A project to minimize waste pollution in the Pacific region, Moana Taka, is on the move in Samoa. Two containers for the waste management and Pacific Recyclers were loaded with scrap metals to be shipped to Australia on Wednesday. The Project, coordinated by the United Nations, the Secretariat of the Pacific Regional Environment Programme (S.P.R.E.P.) and the China Navigation Company – SWIRE shipping aims to minimize waste pollution in the Pacific region. “All these scrap metals will be going to Brisbane, Australia. In Australia, there is a recycling business that will receive the containers and they would pay the recyclers here for the value of scrap metals,” S.P.R.E.P. 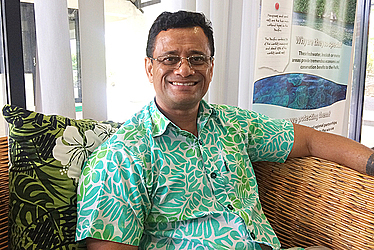 Pollution Adviser, Anthony Talouli, told the Samoa Observer. “I think in Australia, they can recycle the scrap metal and they probably have a factory that takes all the scrap metals and melt it down to iron ore and to reuse it for other iron products. They can make it back into car bodies or steel." “The freight is free, so the recyclers here will get some benefits from the shipped waste materials,” he added. 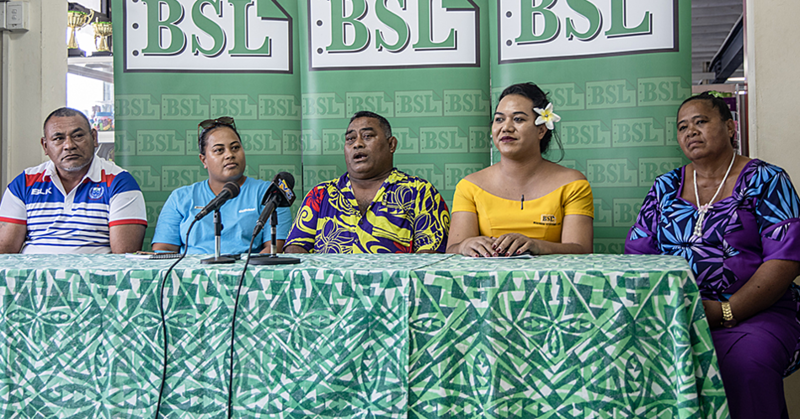 Mr. Talouli said the focus of the partnership is the removal of wastes such as waste oil, e-waste, car bodies and many other materials from the Pacific. “All the Pacific Islands, including Samoa, are included in this partnership, so they all benefit from it. So it just a matter of time before we start collecting information from countries around the Pacific on what they have to export and also where they want to export to." “This provides the incentive because it makes it more affordable for recyclers to start going and collecting. We are talking plastics, e-waste, glass, used oil and many other kinds of waste that you can think about." Mr. Talouli explained: “Under this project, we are able to assist all the Pacific Island and all the territories, the only one that is excluded is Tokelau. The reason is Tokelau doesn’t have an international port and there is no wharf." “I guess in the future, when Tokelau does have a port, it will be good opportunity for S.W.I.R.E. to provide services to them,” he said. Mr. Talouli believes this collaboration helps waste in the landfills to be cleared. “So by removing the wastes, we are helping to make the land fields adequate for normal waste." “It is not only eliminating the waste and pollution, but to help increase the life of the land fields." From the various countries in the Pacific there are different frequencies in terms of shipment of waste overseas, Mr. Talouli says. “From Samoa, there is a shipment every two weeks. Potentially there is a shipment of waste from Samoa to wherever, so twice a month." He also mentioned they are reaching out to all the Pacific countries to join Samoa in the Moana Taka. Some potential countries include the Cook Islands, Marshall Islands and Vanuatu. “This is like a long term thing. It’s going to be for three years. We want to make sure that each of the shipment will be done properly in these three years so that we could continue this relationship with S.W.I.R.E." Anthony says the only requirement for the project is to have a S.W.I.R.E. service the country and to have low value waste that countries would like to be removed. According to Marina Keil the Managing Director for Samoa Recycle and Waste Management Association (S.R.W.M.A. ), she is grateful for the Moana Taka project. 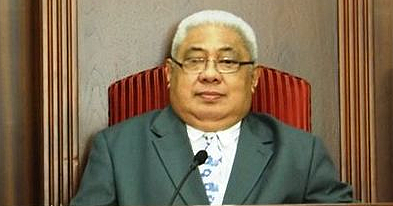 “For us we get the steels in and it contributes to the health of the Samoan people. 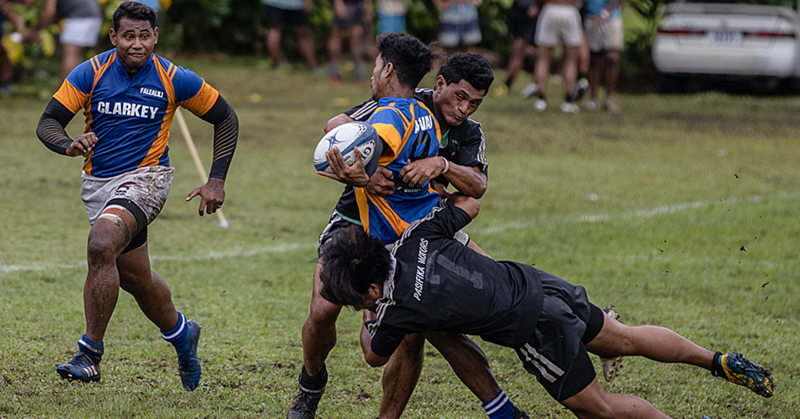 The side effects are if we have all of these metals stuck here in Samoa, we would not be able to move it overseas."